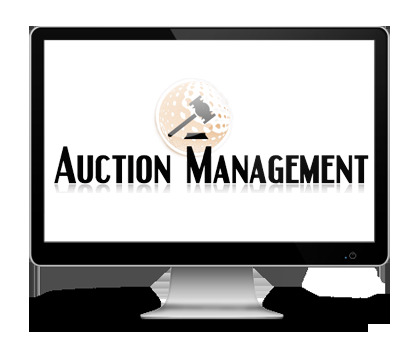 Auction management web-based software tools that build to connect online of buyers and sellers for products or services best deal and requirement. Overall rating is 4.7 out of 5 for eAuction Software System & Services by 200+ Clients on 230+ Projects. Negotiation is an inescapable part of the buying process. In order to obtain the best competitive price for a product, purchase managers must be willing to invest tremendous amounts of time and effort into the negotiation. They must even be prepared to cave in if the negotiation becomes moot. With reverse / forward auction, the task of the purchase manager is simplified to a great extent. By making the entire process of bidding transparent, you can be rest assured that you will get the best deal for your requirement. Not only can the suppliers/bidders respond to the bids instantly, they can even view the lowest bid for the purchase made by their competitors thus giving them an opportunity to alter their purchase orders any number of times within a given timeframe. Bid management control : with a superior bid management control, your purchase manager can have complete charge of a live auction. He can manage any vendor or system problems that may arise during the auction. The manager has the liberty to pause, resume and cancel auctions. He can even remove any fraudulent or suspicious bids from the live auction. This improves accuracy, consistency and security. Auction structuring : this feature allows the purchase/scrap manager to invite all interested vendors across the world to participate in the auction. The manager can even cascade the biddings and permit it to end at different time spans if one auction is dependent on an earlier one. The manager can even provide a small window for overtime to enable the bidders to respond to the latest bid even after the closing time. Configurable bid views and reports : for increased efficiency and reduced chances of error, it is important for the purchase/selling team to be able to view the bids as they come. The team should also have access to graphical displays of the same to rank the vendors which can help at the time of awarding. This is also helpful for documenting the proceedings later on. Data import/export capability : with this feature, the data can be accessed offline as well. The data can be easily imported and exported from the auction tool for later reference. The purchase manager can import order confirmation, vendor details, order value or similar transaction data from the web service channel. This affects speed, accuracy, consistency and security of the tool. Security features :the purchase manager can limit the information that the bidders can see during the auction. He also has the liberty to monitor the actions of the bidder and instantly block any mal-operations. Why EnavAuction's Auction Management System? EnavAuction is an integral part of the expense management system provided by Enaviya. It is a robust web-based procurement solution that allows you to automate the complete vendor interaction over the web for the price negotiation. EnavAuction helps improve procurement efficiency through increased speed, improved accuracy and consistency, greater collaboration with stakeholders and suppliers, broader knowledge transfer and security.